It may be that you start working from home and, as needed, utilise hot desking solutions. Then as your business grows and your needs change you make the move into a day office and when you are ready to employ staff and develop your team a serviced office will give you the space and privacy to work with and grow your new team. Flexibility is key, which is why SOI provides numerous solutions and tailored packages to suit your needs. What suits you best when it comes to a serviced vs virtual office really depends on your business needs. Also very importantly; your own personal preferences. For some, having the support of a virtual office is perfect. It still gives them the flexibility of either a mobile office or home office while having the CBD presence and support they need. For others, they love going “into the office”. They prefer to keep their work and home areas separate, but don’t want all the fuss and commitment of a traditional commercial lease. That’s when a serviced office works well. So, consider all your needs and your goals, both short term and long term. Do you have staff and contractors or will you down the track? If so, how will this work with a serviced office vs a virtual office? Will they be mobile, or will they need a physical space to work? Do you meet with clients? Frequently or on an ad-hoc basis? What would be easier – to have a serviced office and meeting room facilities at your disposal? Or a virtual office and then adding on a meeting room package? Travel times: how much time could you save by not having to commute to an office every day? Family commitments: would a virtual office make it easier to make your personal and family commitments? You can still work in your home office but with SOI’s support staff on hand to take phone calls, provide administration support or diary management. It’s very important to us that we support you in the best way we can. Which is why you are provided with custom packages to accommodate your specific needs. Serviced offices are fully equipped office spaces with all the extras. We want to make your work life easier and more efficient, so you will always have the SOI team on hand to provide you with that extra support. Plus, our fixed monthly costs with no surprising extras help you to remain on budget. A polished and professional Sydney CBD address steps from the Barangaroo precinct, Darling Harbour and Wynyard Station. Convenient to all modes of public transport being minutes to Wynyard Station, Martin Place, the Ferry terminals and Bus interchanges. Flexible lease terms from monthly to 12 monthly or longer. You choose. IT infrastructure with lightning fast internet and unlimited upload and download, with both wired or wireless options – you choose. Meeting rooms, Boardroom and conference/training rooms available both during and after business hours. Our friendly reception team greets your guests and can deliver teleconferencing, video conferencing plus create a variety of catering options. Professional telephone answering, front reception and concierge support. Assistance is always available for secretarial/administrative or PA work. You also have access to End of trip facilities, including showers, secure bike cage and locker room. Breakout rooms to cater for when you need some downtime or just for a quick break. This is also a great way to meet your other serviced office colleagues and learn about what they do. You never know where you might meet a potential client. Childcare priority at the in-building Child Care Centre. We have access to childcare facilities for children aged from 6 weeks through to pre-school age with all snacks and meals provided. What more could you want? At SOI we offer even more. Is the serviced office winning in our serviced vs virtual office debate? It does sound wonderful with all those added benefits. But depending on your location or due to your personal situation a virtual office may still suit your needs better. Read on to learn about virtual office solutions. When it comes to virtual offices you get all the benefits of having a support team behind you but without having to actually needing to be“in” the office. This can be a big “win” for you. Your clients will be none the wiser as you can use our addresses (all over Australia) on all your marketing and documents. Your own phone number or one supplied by SOI can also be directed through our friendly and helpful virtual receptionists. Again, with your clients being none the wiser. 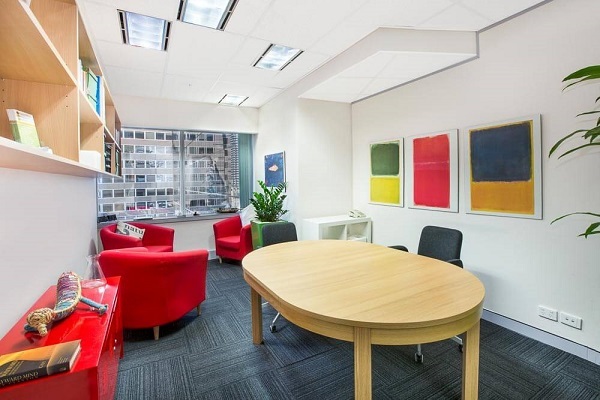 If you have the occasional client meeting too then you can use our Sydney CBD meeting room facilities. Or if you are in another state (or worldwide), then we can make arrangements to accommodate your needs with one of our partners. Our virtual office packages cater to business owners all around Australia and the world. We have no lock-in contracts, so you can expand and change your needs as your business does. 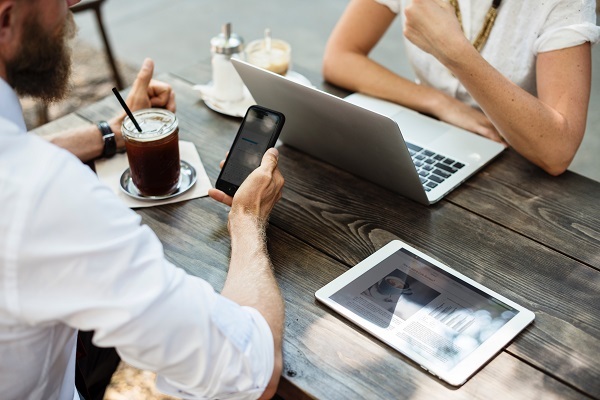 So, with a virtual office, you have the best of both worlds – virtual office support but with the convenience of working from home or your mobile office. Have You Decided Which is Best? A Serviced or Virtual Office? We are here to help! So, do not hesitate to contact our office to discuss your needs. We can advise what we think would be best as well as the solutions and costs involved. Our goal is to make your life easier and to support you and your business as it grows.